called Martinka or Martenitsa. Friends and relatives exchange these charms on the 1st of March and they wear them until they see the first stork or the first blooming tree. 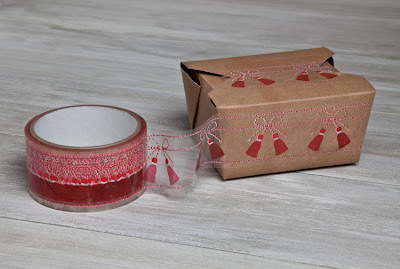 The charm celebrates friendship and we thought our Tassel Tape makes an excellent statement when used for decorating containers with homemade food, intended for someone you care about.